The above paragraph sounds like some scary dystopian future doesn’t it? The educational system reduced to a game! No adult available to mentor the youth and everyone has become a zombie! I once wrote a sci-fi novella that used this as a concept, but I thought it applied well here. I think that people have a deep rooted fear that something like the above paragraph will come to pass if we allow technology and gaming to take hold in our schools, which is simply false. Let me begin by saying that I have used video games, Civilization IV and Capitalism Plus, and RPG’s to teach social studies concepts since 2010. Before that I didn’t think much of games except jeopardy in my classroom until I was shown by a colleague the benefits of how gaming could help teach concepts. I enjoyed using the games and my students did as well. A teacher that uses games will find traits in students that simply just do not blossom like they do using traditional teaching methods. After reading the above article dealing with gamification, I was struck by how many people are against the movement to implement games in the classroom. As a teaching tool games have existed for quite a long time, but every time I try to convince people about the value of video games in a social studies classroom I usually run into opposition. It is almost as if people don’t want to believe that students can learn in an environment that is fun, exciting, and engaging and instead would rather teach students the “real” or “serious” methods of teaching. Occasionally I have a few students that agree with this mindset, but most love what we do using Civilization IV and at the end of the year, when I give my review of the class, large numbers of them report that Civ Lab was the best part of class. I once conducted a poll in the third quarter when I was having moments of doubt about the system and I conducted a poll that showed 80% of my students wanted Civ Lab to continue and in an increased frequency. How many other teachers can boast an activity has 80% of the students excited and wanting to come back for more every single day? Below is my response to the article Tim Walker wrote for NEAtoday and the naysayers who believe gaming in education is hurting our students. There is no way that bringing simulation games into the classroom is hurting our students if it is done properly. Mathew Farber is on the right track in trying to frame the hard social studies concepts that we have to teach in a short period of time in a way that Middle School students can understand. Isn’t that what teaching is all about? Are not teachers supposed to use modern day connections to expand student understanding and learning? So how is using gaming, something that most students understand, horrible for our students? In reality, it is not harmful at all and is a great motivator for critical thought in the classroom. Being a teacher involves so many different things and responsibilities that it is hard to do this job. If the profession wasn’t hard teacher burnout wouldn’t be so high and everyone who stepped into a classroom would be great at his or her job. That being said, the job description involves helping students reach their full potential through meaningful activities that help them grow as a person on social, emotional, and intellectual levels. The use of games can exercise many of these holistic human muscles that traditional instruction cannot. When you play a game you are interacting with other students and learning how to properly discourse with one another while at the same time making calculated decisions that will affect the outcome of the game. In my social studies classes I am a fan of games that go beyond the simple answer a question get a point and instead cause students to debate within and without their table group, think critically, and make a decision. 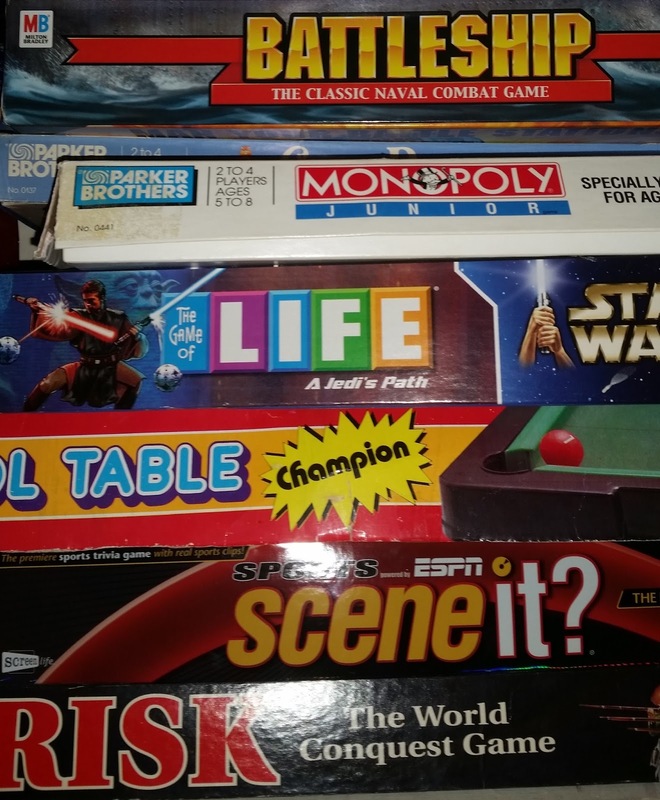 Games are not some aberration that teaches students to think life is a game, but instead is creating an environment that allows for difficult concepts to be acted out in a safe environment. Building the gaming landscape and environment is an intricate process that requires a massive amount of effort from the teacher who has tried to build a meaningful simulation and is probably the most important part of using a simulation. Rules are created, skills are practiced by students, and sometimes points are used to denote progress. The teacher that has opted to create a game for his or her students to explore concepts is creating a world, which is a model of creativity. The teacher has gone big and taken a huge risk. From day one students see that risk taking is part of creativity, but even if the game doesn’t come out great the teacher tried to be creative instead of hiding behind what “works". Isn’t taking risks and being creative tools students will need in the twenty first century? Shouldn’t we be modeling these same behaviors for our students? Of course we should. The environment must also be a safe haven for thought and experimentation. The tasks in the haven must be authentic and activities in a traditional social studies classroom can only flirt with true authenticity. I am not saying that a traditional classroom doesn’t provide authentic assessments or projects that help further student learning, but I do believe using games and simulations does make it better. A truly authentic experience can be created through a game where the students build the governments they write about, vote for their leaders, write their own declarations against an oppressive power, and write and pass bills in congress. Reading about the process of how a bill becomes a law only brings the students so far, but modeling the process brings it to life and memorable by having students debate the pros and cons of writing a law to stop dueling for example. It breathes life into the social studies classroom in a way the texts cannot. The right environment makes history and government memorable, which Jay Leno has already proven to be hard to achieve in the traditional sense. The rules of the simulation or game provide a safe haven and in a true social studies simulation the students are able to write some of their own laws to keep the haven safe. Problems are discussed in a civilized manner, which is taught and laid out in the rules. Critical thinking and problem solving is at the forefront to many of the discussions as students discuss the finer points of diplomacy and fight wars with other classes that we compete with in other school buildings. When used properly gaming provides an environment that traditional methods do not. It creates an entire world where the same concepts that are read about can be implemented and practiced. It seems to me that this brings the learning further than if the students simply created a poster or writing an essay because they are trying the concepts on for size. Badges: We don’t need no stinking badges! In a classroom that uses gaming properly the experience has nothing to do with extrinsic motivation or badges. In fact, it can be argued that much of the learning pushes for a better sense of efficacy as the students figure out which strategies or concepts work best for their civilization. I have never used badges. I have rarely had trouble with motivating my students to play the game. Really, most of them want to see their country progress and do better than the other classes that are at other schools or against their peers in other classes in our school. Those that are against the movement to use games in the classroom do not see that it is more than giving students points or badges and instead a place for students to try on concepts for size. Plus, the naysayers are lumping all different kinds of games into one barrel. Some games don’t use badges. Some don’t use points. Some are just friendly competitions to see who can create something first or the strongest. There are so many different ways to provide a gaming experience that associating it all with badges is a gross misrepresentation and concentrated version of the real thing. It is like drinking juice concentrate and saying that all juice is bad instead of trying out a glass of freshly squeezed juice. The relationship between modern day marketing campaigns and the classroom that is using gaming basically stops outside the school building. No teacher sees students as customers. We see them as human beings that need to learn to be productive adults someday. Those outside the profession might see it this way, but no one is trying to “make them want what our public schools are selling!” All teachers are just trying to reach students who think that sitting down and reading an article on the life of George Washington is boring. We are told be engaging and creative, but then are hammered by others who do not understand the full magnitude of what gaming accomplishes. Personally, I think we need to work on letting teachers use whatever methods they want to try. The US needs to figure out a way to have students buy into the educational process and if the one part of their day they like is creating laws and thinking of ways to beat another class shouldn’t we be offering them that instead of telling them that games have no place in school? This question is a loaded one. I have run into so many people that think what I am doing using Civilization IV is a waste of time and isn’t “meaningful”. All of the teachers in the Civ Lab Partnership in Maryland who use Civilization IV to simulate the concepts we teach on paper have had to explain ourselves to administrators or parents who believe that games have no place in school. The environment has made it hard for teachers to explore new avenues, since “good teaching” often does not look like students getting all into a game spying on one another at lunch or sending a message for a trade agreement. Part of this is that the process takes all year and a snapshot of the classroom does not show how much the students interact with one another. I also think that at times to much has been pushed onto the “best practices” and has slowed creative thought. The best practices have a place and they work very well when used properly, but when do we stop saying what teachers are doing is wrong because they don’t look like the person next door? Are we all supposed to be clones teaching in the same way all the time? I think not. But I suppose that is a different topic to tackle on different post. Games do not strip the meaning away from learning. In my experience games enhance what is being done in the traditional classroom and allows students to experiment with the concepts to see how they work. I have found that using games allow the students to interact with worlds that have disappeared or simulate modern day environments. I have had students build secret societies that had card carrying members, empires with emperors that have risen and fallen, democracies that could not pass laws and others who could, invest in a stock market that rose and fell based on the events of the period, had students go on RPG adventures where their character fought in the Mexican War, and held presidential elections that have been decided in the electoral college and in congress. Without games none of this would have been possible. If I am wrong then I don’t want to be right. I think the most common misconception is that those who are against gaming seem to think that traditional methods have been thrown out the window. Students in my class still read difficult text. Students in my class do DBQs and learn how to write properly. Students in my class learn how to think critically. Gaming is only a fraction of what I do every day, but it is a way for the concepts to come to life. Those of us that employ games still do the “hard work” with our student that has to be done. No one is just sitting around all day watching videos and playing games all day. We are engaging with the content in a way that has previously been out of reach as we strive to help our students realize that our content is exciting. As teachers who use games we are desperately trying to engage a student body that exists in two different worlds that includes cyberspace and the physical world. Our students use technology regularly. Our students play games. It’s a fact. We can’t just ignore it and pretend like it doesn’t exist because it is real and it is now. If we don’t engage our students in the space they exist in then we are going to lose them. Plus, we already know that many of the methods used back twenty years ago did not work or we would not have tried to overhaul the entire thing around the year 2000. So shouldn’t we be trying to keep the innovation going and engaging our students in a space that is meaningful to them and us? If we don’t try they are going to leave us behind and give up on school completely, which would be a disaster for all involved. So next time you hear about gamification or using games in the classroom give it a second glance. There is more than meets the eye. We are not just handing out badges, but implementing creative ways to engage students to help them try on concepts for size. We are not sugarcoating anything and in some ways are able to engage the students in debates that they could not have without the simulation. In short, we are building the future senators, doctors, lawyers, etc of the world that learned skills from the game and will apply them to their adult life.